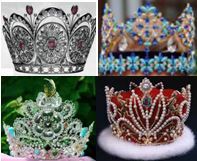 The Pageant Archive – Pageant writer, volunteer and retired circuit boy. I live life as if I'm wearing flip-flops – casual,comfortable, colorful and free. Pageant writer, volunteer and retired circuit boy. I live life as if I'm wearing flip-flops – casual,comfortable, colorful and free.